This is a formal version of a speech given on October 24, 2009, at the Birthplace of Economic Theory conference in Salamanca, Spain. The subject of the medieval period highlights the vast gulf that separates scholarly opinion from popular opinion. This is a grave frustration for scholars who have been working to change popular opinion for a hundred years. For most people, the medieval period brings to mind populations living by myths and crazy superstitions such as we might see in a Monty Python skit. Scholarly opinion, however, knows otherwise. The age between the 8th and 16th centuries was a time of amazing advance in every area of knowledge, such as architecture, music, biology, mathematics, astronomy, industry, and — yes — economics. One might think it would be enough to look at the Burgos Cathedral of St. Mary, begun in 1221 and completed nine years later, to know there is something gravely wrong with the popular wisdom. The popular wisdom comes through in the convention among nonspecialists to trace the origins of promarket thinking to Adam Smith (1723—1790). The tendency to see Smith as the fountainhead of economics is reinforced among Americans, because his famed book An Inquiry into the Nature and the Causes of the Wealth of Nations was published in the year America seceded from Britain. There is much this view of intellectual history overlooks. The real founders of economic science actually wrote hundreds of years before Smith. They were not economists as such, but moral theologians, trained in the tradition of St. Thomas Aquinas, and they came to be known as the Late Scholastics. These men, most of whom taught in Spain, were at least as pro—free market as the much-later Scottish tradition. Plus, their theoretical foundation was even more solid: they anticipated the theories of value and price of the “marginalists” of late 19th-century Austria. The scholar who rediscovered the Late Scholastics for the English-speaking world was Raymond de Roover (1904—1972). For years, they had been ridiculed and sloughed off, and even called presocialists in their thought. Karl Marx was the “last of the Schoolmen,” wrote R. H. Tawney. But de Roover demonstrated that nearly all the conventional wisdom was wrong (Julius Kirchner ed., Business, Banking, and Economic Thought [Chicago: University of Chicago Press, 1974]). 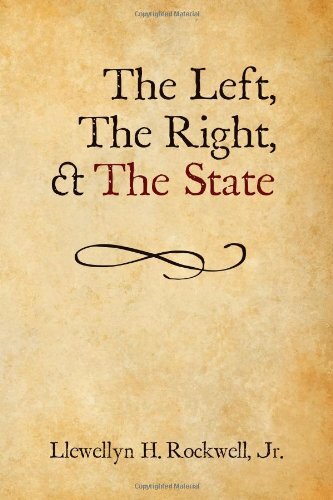 About the same time, there appeared a book of readings put together by Marjorie Grice-Hutchinson (The School of Salamanca [Oxford: Clarendon Press, 1952]), recently republished by the Mises Institute. A full-scale interpretive work appeared later (Early Economic Thought in Spain, 1177—1740 [London: Allen & Unwin, 1975]). In our own time, Alejandro Chafuen (Christians for Freedom [San Francisco: Ignatius Press, 1986]) linked the Late Scholastics closely with the Austrian School. 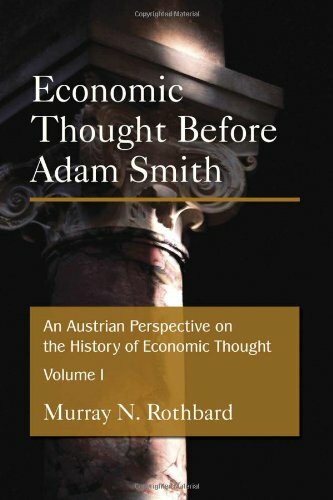 In the fullest and most important treatment to date, Murray N. Rothbard’s An Austrian Perspective on the History of Economic Thought (London: Edward Elgar, 1995) presents the extraordinarily wide range of Late Scholastic thought. Rothbard offers an explanation for the widespread misinterpretation of the School of Salamanca, along with an overarching framework of the intersection between economics and religion from St. Thomas through to the mid-19th century. What emerges from this growing literature is an awareness that the medieval period was the founding period of economics. Let me pause here with some comments on those who reject outright economics as a science. This tendency is not limited to the Left who embrace the fantasy called socialism, nor the environmentalists who think that society should revert to the status of a hunting and gathering tribe. I’m thinking in particular of a group that we might call conservatives. People who believe that all they need to know about reality and truth is contained in the writings of the ancient philosophers, the Church fathers, or some other time-tested source, whereas anything modern — defined as anything written in the latter half of the 2nd millennium of Christianity — is generally seen as suspect. This tendency is widespread on the American Right, and extends to the Straussians, the communitarians, the paleoconservatives, and the religious conservatives. There are examples among them all. 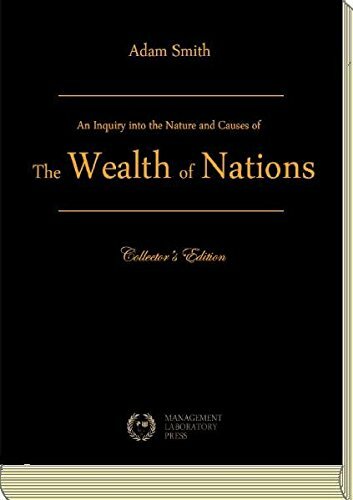 To seek economic wisdom, they brush aside everything of the last 500 years, and return again and again to the writings of early saints, of Plato and Aristotle, and to words of wisdom from many other revered nonmoderns. 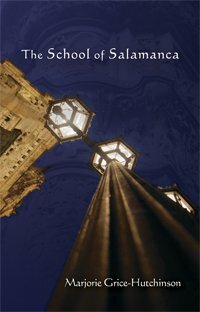 School of Salamanca Check Amazon for Pricing. Now, in these writings one can discover great truths. However, it is simply not the case that one can find rigorous economic logic. The writings of this period tend to be imbued with a bias against the merchant, a fallacy about the equality of value in exchange, and a general lack of conviction that there exists a persistent logic for understanding the development of the market. Mises was right: the development of economics began much later, and the reason for this is rather straightforward. The appearance of widespread economic opportunity, social mobility driven by material status, the dramatic expansion of the division of labor across many borders, and the building of complex capital structures only began to be observed in the late Middle Ages. It was the appearance of the rudimentary structures of modern capitalism that gave rise to the curiosity about economic science. To put it quite simply, it was in the late Middle Ages that there appeared to be something to study at all. It was in this period on the Continent that we began to see what was previously unheard of: large swaths of the population began to grow rich. Wealth was no longer limited to kings and princes. It was not available only to merchants and bankers. Workers and peasants too could increase their standard of living, make choices about where to live, and acquire clothing and food once reserved for the nobility. In addition, monetary institutions were increasingly complex, with a variety of exchange rates, pressures to permit the paying and charging of interest, and complex investment transactions making their way into daily life. It was particularly interesting to see wealth being generated in financial services. People who were doing nothing other than arbitraging exchange rates were growing enormously rich and influential. These were people who, in the words of Saravia de la Calle, were “traveling from fair to fair and from place to place with [their] table and boxes and books.” And yet their wealth grew and grew. This gave rise to the scientific question of how this was happening. And it also gave rise to the broadest forms of moral questions. What exactly is the status of the merchant in moral theology? How should this form of moneymaking be regarded by society and the Church? These sorts of questions cried out for answers. Now let us understand a bit more about the Scholastic mind as shaped in the tradition of St. Thomas. At the root of the Thomist worldview was a conviction that all truth was unified into a single body of thought, and that this truth ultimately pointed to the Author of all truth. Insofar as science was seeking truth, the truth that they found was necessarily reconcilable with other existing truths. In this way, they saw the idea of truth as operating very much like mathematics. It was integrated from the lowest and most fundamental form to the highest and more elaborate form. If there was a contradiction or a failure to link a higher truth to a lower truth, one could know with certainty that there was something going wrong. So knowledge was not parceled out and segmented the way it is today. Today, students go to classes on math, literature, economics, and building design, and don’t expect to find any links among the disciplines. I’m quite certain that it would never occur to them to try. It is just an accepted aspect of the positivist program that knowledge need not be integrated. We must all exist in a state of suspended skepticism about everything, and be buffeted about randomly by the latest ideological fad that seems to have some scientific support. The conviction that small truth is related to large truth has been eviscerated. It is sometimes said that the Scholastic’s attitude toward truth made them skeptical toward scientific inquiry. Indeed, the very opposite is true. Their convictions concerning integral truth made them utterly fearless. There was no aspect of life that should escape serious scholarship investigation and exploration. No matter the findings, if they were true, the investigation could be seen as part of the larger mission of discovering more about God’s own creation. There could be no such thing as a dichotomy between science and religion, so one need not hesitate to discover more about either or both. As Spain, Portugal, and Italy emerged as centers of commerce and enterprise in the 15th and 16th centuries, the universities under the control of the late Thomists spawned a great project of investigating the regular patterns that governed economic life. I would like to present some of these thinkers and their work. The first of the moral theologians to research, write, and teach at the University of Salamanca was Francisco de Vitoria (1485—1546). Under his guidance, the university offered an extraordinary 70 professorial chairs. As with other great mentors in history, most of Vitoria’s published work comes to us in the form of notes taken by his students. In Vitoria’s work on economics, he argued that the just price is the price that has been arrived at by common agreement among producers and consumers. That is, when a price is set by the interplay of supply and demand, it is a just price. So it is with international trade. Governments should not interfere with the prices and relations established between traders across borders. Vitoria’s lectures on Spanish-Indian trade — originally published in 1542 and again in 1917 by the Carnegie Endowment — argued that government intervention with trade violates the Golden Rule. He also contributed to liberalizing the rule against charging and paying interest. This discussion helped sow a great deal of confusion among theologians of precisely what constituted usury, and this confusion was highly welcome to entrepreneurs. Vitoria was also very careful to take supply and demand into account when analyzing currency exchange. Yet Vitoria’s greatest contribution was producing gifted and prolific students. They went on to explore almost all aspects, moral and theoretical, of economic science. For a century, these thinkers formed a mighty force for free enterprise and economic logic. They regarded the price of goods and services as an outcome of the actions of traders. Prices vary depending on the circumstance, and depending on the value that individuals place on goods. That value in turn depends on two factors: the goods’ availability and their use. The price of goods and services are a result of the operation of these forces. Prices are not fixed by nature, or determined by the costs of production; prices are a result of the common estimation of men. Domingo de Soto (1494—1560) was a Dominican priest who became a professor of philosophy at Salamanca. He held powerful positions with the emperor, but chose the academic life. He made important advances in the theory of interest, arguing for a general liberalization. The more plentiful money is in Medina the more unfavorable are the terms of exchange, and the higher the price that must be paid by whoever wishes to send money from Spain to Flanders, since the demand for money is smaller in Spain than in Flanders. And the scarcer money is in Medina the less he need pay there, because more people want money in Medina than are sending it to Flanders. With these words, he had taken large steps toward justifying the profit that comes from currency arbitrage. It was not by chance that currency valuations come to be; they reflect certain facts on the ground, and the choices of people in light of real scarcities. It is lawful to exchange money in one place for money in another having regard to its scarcity in the one and abundance in the other, and to receive a smaller sum in a place where money is scarce in exchange for a larger where it is abundant. Another student was Martin de Azpilcueta Navarrus (1493—1586), a Dominican friar, the most prominent canon lawyer of his day, and eventually the adviser to three successive popes. Using reasoning, Navarrus was the first economic thinker to state clearly and unequivocally that government price-fixing is a mistake. When goods are plentiful, there is no need for a set maximum price; when they are not, price control does more harm than good. In a 1556 manual on moral theology, Navarrus pointed out that it is not a sin to sell goods at higher than the official price when it is agreed to among all parties. Navarrus was also the first to fully state that the quantity of money is a main influence in determining its purchasing power. “Other things being equal,” he wrote in his Commentary on Usury, “in countries where there is a great scarcity of money, all other saleable goods, and even the hands and labor of men, are given for less money than where it is abundant.” He is generally regarded as the first thinker to observe that the high cost of living is related to the quantity of money. For this reason, the justness of a price is not dictated by how much the item costs or how much labor went into acquiring it. All that matters is what the common market value is in the place and at the time it is sold. Prices fall when buyers are few and rise when buyers are many. It seems like such a simple point, but it was missed by economists for centuries until the Austrian School rediscovered this “subjective theory of value” and incorporated it into microeconomics. Like all of these Spanish theorists, Covarrubias believed that individual owners of property had inviolable rights to that property. One of many controversies of the time was whether plants that produce medicines ought to belong to the community. Those who said they should pointed out that the medicine is not a result of any human labor or skill. But Covarrubias said everything that grows on a plot of land should belong to the owner of the land. That owner is even entitled to withhold valuable medicines from the market, and it is a violation of the natural law to force him to sell. Another great economist in the Vitoria line of thinkers was Luis de Molina (1535—1601), who was among the first of the Jesuits to think about theoretical economic topics. Though devoted to the Salamancan School and its achievement, Molina taught in Portugal at the University of Coimbra. He was the author of a five-volume treatise De Justitia et Jure (1593 and following). His contributions to law, economics, and sociology were enormous, and his treatise went through several editions. The use value of a particular good is not fixed between people or over the passage of time. It changes according to individual valuations and availability. But Molina understood the crucial importance of free-floating prices and their relationship to enterprise. Partly, this was due to Molina’s extensive travels and interviews with merchants of all sorts. 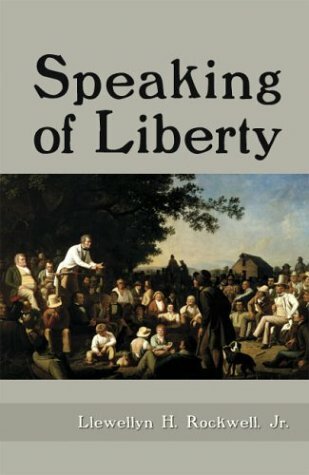 “When a good is sold in a certain region or place at a certain price,” he observed, so long as it is “without fraud or monopoly or any foul play,” then “that price should be held as a rule and measure to judge the just price of said good in that region or place.” If the government tries to set a price that is higher or lower, then it would be unjust. Molina was also the first to show why it is that retail prices are higher than wholesale prices: consumers buy in smaller quantities and are willing to pay more for incremental units. The most sophisticated writings of Molina concerned money and credit. Like Navarrus before him, he understood the relationship of money to prices, and knew that inflation resulted from a higher money supply. “Just as the abundance of goods causes prices to fall,” he wrote (specifying that this assumes the quantity of money and number of merchants remain the same), so too does an “abundance of money” cause prices to rise (again, ceteris paribus). He even went further to point out how wages, income, and even dowries eventually rise in the same proportion to which the money supply increases. Molina’s defense of private property rested on the belief that property is secured in the commandment, “thou shalt not steal.” But he went beyond his contemporaries by making strong practical arguments as well. When property is held in common, he said, it won’t be taken care of and people will fight to consume it. Far from promoting the public good, when property is not divided, the strong people in the group will take advantage of the weak by monopolizing and consuming the most resources. Vitoria, Navarrus, Covarrubias, de Soto, and Molina were five of the most important among more than a dozen extraordinary thinkers who had solved difficult economic problems long before the classical period of economics. Trained in the Thomist tradition, they used logic to understand the world around them, and looked for institutions that would promote prosperity and the common good. It is hardly surprising, then, that many of the Late Scholastics were passionate defenders of the free market and liberty. Ideas are like capital in the following sense: we take them for granted, but in fact they are the work of many generations. In the case of economic logic, it was the work of hundreds of years. Once understood, economics becomes part of the way we think about the world. If we don’t understand it, many aspects of the way the world works continue to elude our vision and grasp. It is striking how much of the knowledge of the Late Scholastics was lost over the centuries. Britain had remained something of an outpost in this area, due to language and geography, but the Continental tradition developed apace, in particular in France in the 18th and 19th centuries. But it is especially striking that the major resurgence of Scholastic ideas came out of Austria in the late 19th century, a country that had avoided a revolutionary political or theological upheaval. If we look at Menger’s own teachers, we find successors to the Scholastic tradition. 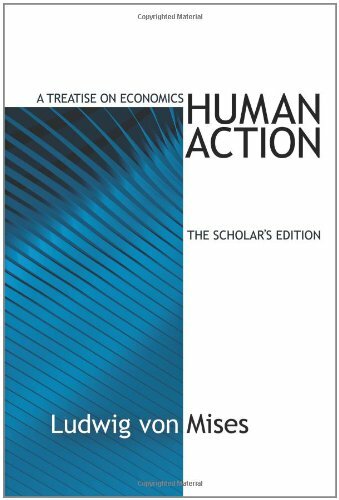 Mises wrote that economics is a new science and he was right about that, but the discipline is no less true for being so. Those who obstinately avoid its teaching are not only denying themselves a pipeline to truth, they are in active denial of reality, and this is no basis for recommending any way forward. As for those modern economists who are stuck in the positivist-planning mode, they too have much to learn from the School of Salamanca, whose members would not have been fooled by the fallacies that dominate modern economic theory and policy today. If only our modern understanding could once again arrive at the high road paved for us more than 400 years ago. Just as the cathedrals of old retain their integrity, beauty, and stability, the Austrian School, as a descendent of the ideas of Salamanca, remains with us to speak an integrated truth, regardless of the intellectual fashions of our day.